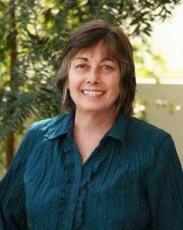 Arlene Gundlach joined the All Souls New London Staff in June, 2003. She came to her position after more than 16 years experience in office administration at a Lutheran church in White Plains, New York. She is the spouse of an American Baptist Minister, now retired, and served with him for over 40 years in churches in Rhode Island, Massachusetts, New Jersey, New York and Connecticut. She has four grown children and four grandchildren. She enjoys singing and is a member of the All Souls Choir. Arlene retired from her position as Office Administrator at the end of December, 2014.